Tripp (McConaughey) is the classic romantic comedy bad boy in this flick – attracted to very short term relationships, playing it cool, hanging with his mates, avoiding emotion, and still living with his mum and dad at the ripe old age of 35! As Tripp’s parents want their nest emptied, they hire Paula (SJP), a professional interventionist. Her plan is to sweep Tripp off his feet, make him fall in love with her, which will then make him feel more independent and therefore move out of home. The plan goes along nicely for a while, until cupid rears his ugly head. As we often find out in the classic rom com, apparently the bad boy does have feelings! When we were watching this film we realised we had seen it before, some years ago. Unfortunately, I don’t think a second viewing enabled it to get into the Better the Second Time Around category. Not a bad job done by both SJP and McConaughey. But great effort by Deschanel who plays the obligatory dark-haired best friend/room-mate to Paula. Stock-standed rom com, pretty enjoyable, and I’m sure you’ll catch it on TV from time to time. Mary (Lopez) is a highly-driven wedding planner who is vying for ‘partner’ in her firm – a firm that caters mainly for high end weddings. She is fairly sceptical of true love after having her heart broken, and takes bets on how long the clients’ marriages will last. So because she is so busy organising other people’s weddings, Mary’s Italian father has arranged a marriage for her with an old Italian friend’s son, Massimo. But she has just met Steven and both felt some sparks fly between them. This may be the man of her dreams. However, disappointingly, it turns out that Steven is set to marry one of her clients. So Mary settles for Massimo and organises her wedding in the opposite fashion to what she does for others. Does Steve marry his fiance, Fran? Does Mary marry Massimo? Or do they rock the boat and go with their hearts? 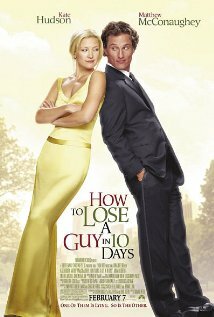 Here is another wedding-obsessed film that should really be spending more time sending itself up. But, at the least, the message is more about love than the wedding. McConaughey was a lot more humble back in these earlier rom coms and much more likeable than his brash newer roles. 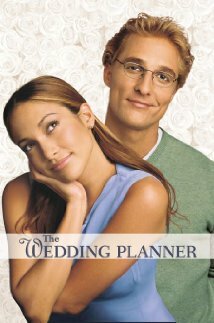 J-Lo was okay (slightly better in the Back-up Plan) as a rom com protagonist. 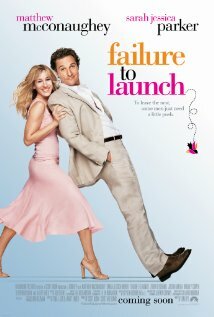 Although this is another slightly sickening wedding flick, it’s actually not bad for an early 2000s rom com. It’s light and romantic and worth a watch when you’re in the mood.